SBI Clerk Recruitment 2019: SBI Clerk (Junior Associates) Exam is held by SBI or State Bank of India to recruit candidates for Clerical Cadre in its different branches across the country. 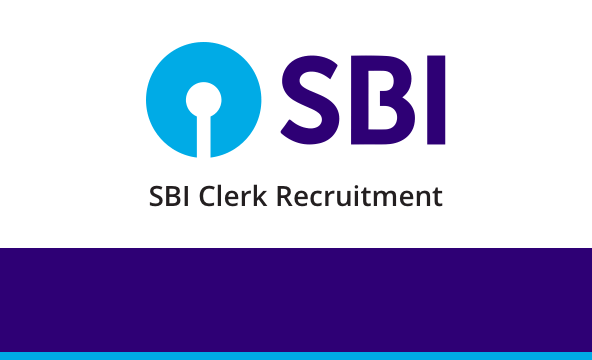 SBI Clerk (Junior Associates) 2019 facilitates the recruitment for the post of Junior Associates (JA). SBI Clerk is one of the most sought after bank exams today and a huge number of candidates appear for the same every year. SBI Clerks (Junior Associates) are responsible for all the client interactions and related operations. Candidates who are recruited as SBI clerks are designated as cashiers, depositors and other posts that form the face of a particular SBI Bank branch. Here, in this article we'II talk about SBI Clerk 2019 Notification, Exam Dates, Exam Pattern, Syllabus & more. Total number of vacancies updated in the official notification for SBI Clerk (Junior Associates) 2019 is 8653. As per the official notification released by SBI "No minimum qualifying marks for individual subjects are prescribed". Thus, there will not be any sectional cut off for this year's SBI Junior Associates Recruitment's Online Examination. However, the criteria solely lies within the hands of the organisation. Educational Qualifications: He/shemust hold a valid degree in any discipline from a recognized university. Registered candidates will be required to download SBI Clerk Admit Card 2019 from the official website of State Bank of India. The hard copy of the SBI Clerk admit card won’t be couriered to applicants. The admit card for SBI Clerk Exam 2019 will be released in two stages - admit card for preliminary exam, the admit card for mains exam. Keeping in mind the SBI Clerk 2019, we are launching various Test Series, Classroom Programs and Seminars to guide you through your preparations.